The National Committee for Clinical research (NCCR) has commissioned the update of the Malaysian Guideline for Good Clinical Practice following the revision of International Council for Harmonisation (ICH) E6 Good Clinical Practice guidance in November 2016. The revision is intended to increase the efficiency and quality of clinical trials with the advance use of electronic data recording and also updates the standard for electronic records and essential documents. With the increasing number of clinical trials conducted in the country, it is important to ensure trial subjects are protected and data integrity is preserved. Since the introduction of a standardised GCP syllabus and exit examination in 2011, more than 12,000 have received their GCP certificates. This demonstrates the high level of interest in clinical trial amongst healthcare professionals and researchers. The courses were conducted by a pool of qualified trainers from public hospitals, universities and private sectors throughout the whole country. I would like to thank the committee members for their tireless effort and diligence in revising this Malaysian Guideline for Good Clinical Practice. The collective inputs from the various stakeholders in Malaysia were invaluable in developing this edition. 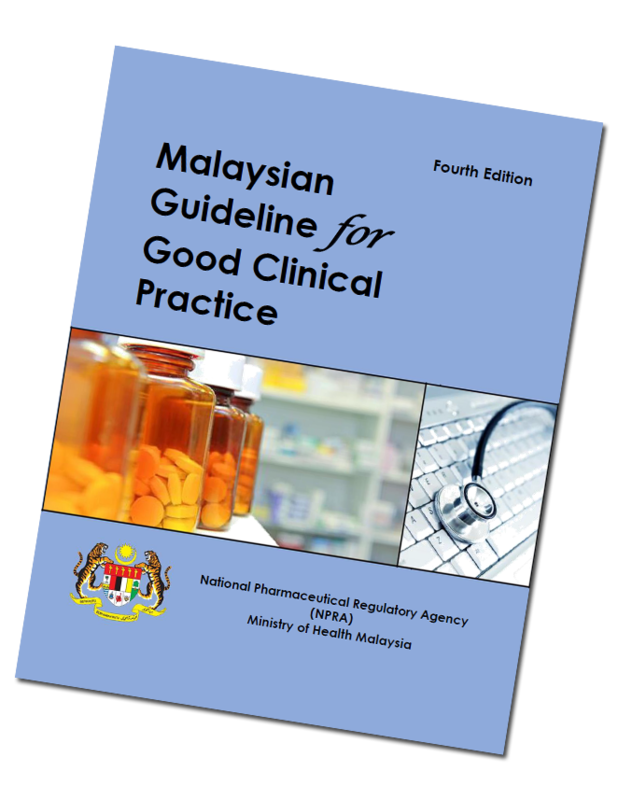 It has been more than a decade since the publication of the First Edition of the Malaysian Good Clinical Practice Guideline. Since then we have seen the publication of the Second Edition and this latest (Third) Edition marks another important milestone for clinical research in Malaysia. Over the last decade, more than one thousand Malaysian doctors, pharmacists, nurses and medical scientists have been GCP-certified. There has also been an exponential increase in the number of clinical trials (both industry sponsored and investigator initiated) performed in Malaysia. Malaysian investigators have, over the past decade, been involved in major clinical outcome trials which were subsequently published in major medical journals. More importantly, their contributions have been translated into improved patient care and outcomes and underscore the importance of evidence-based practice. Progress in medicine and medical research goes hand in hand. Although there have been phenomenal advances in medicine over the last fifty years, there are still many questions which remain unanswered, hence the need for more research, development and innovation in medicine. In their haste to produce results, investigators, institutions, sponsors and ethics committees must not compromise on the highest scientific and ethical standards expected of international trials, hence the need to be guided by the Good Clinical Practice Guideline. This latest Edition of the Malaysian GCP Guideline has taken stock of the latest development in clinical research over the last decade, including the latest revision to the Declaration of Helsinki (2008) by the World Medical Association. I would like to thank the subcommittee on their efforts and diligence in coming out with this Edition. Although most of the members are new to the present subcommittee, their collective experiences in conducting and regulating trials in Malaysia were invaluable in coming out with this Edition. I would like to end by reminding all those involved with clinical trials in Malaysia to strictly adhere to this Guideline and never, at any time, compromise on the highest scientific and ethical standards expected of them. Good Clinical Practice (GCP) is a standard for the design, conduct, performance, monitoring, auditing, recording, analysis and reporting of clinical trials that provides assurance that the data and reported results are credible and accurate, and that the rights, integrity and confidentiality of trial subjects are protected. 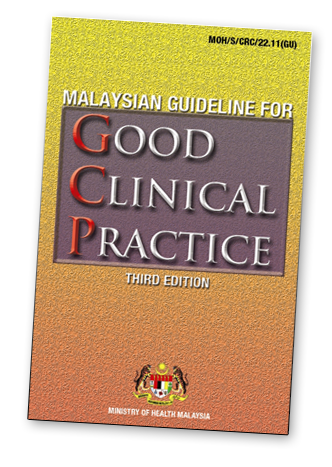 The first edition of the Malaysian Guidelines for GCP was published in October 1999. This guideline provides a unified GCP standard with the objective of assisting the local investigators to conduct clinical trials in accordance to international standards and to facilitate the mutual acceptance of clinical data by the regulatory authorities. In line witht he greater demand of clinical trials in Malaysia and the increasing awareness of GCP amongst our clinicians, there is a need to update the current guideline. Hence, this second edition guideline is developed in line with the current local regulatory requirements on the manufacture of investigational medicinal products, prerequisite of an approved Good Clinical Practice training and the current ICH GCP Guidelines (CPMP/ICH/135/95). The principles established in this guideline can also be applied to other clinical investigations that may have impact on the safety and well-being of human subjects. I would like to thank the working committee for all their efforts in the preparation of this second edition of the Malaysian Guidelines for Good Clinical Practice. I would also like to remind our investigators that this Guideline should be adhered to when conducting clinical trials in Malaysia especially if the clinical trial data are intended to be submitted to the regulatory authorities. The production of the Malaysian Guidelines for Good Clinical Practice (GCP) is indeed very timely and necessary in the wake of a greater demand by the pharmaceutical industry to conduct clinical trials in Malaysia. The objective of the Malaysian GCP Guideline is to ensure that drug-related trials in Malaysia are conducted in accordance with international ethical and scientific standards. It details the quality processes required in the conduct of clinical trials to ensure that human subjects participating in the trials are protected and that studies so conducted are based on good science and are well-designed. Also, the results arising from the trials are properly recorded, analyzed and reported. Strict adherence to this guideline will facilitate the mutual acceptance of clinical data by international regulatory authorities, especially since the guideline adopts the basic principles outlined by the International Committee on Harmonization of Good Clinical Practice (ICH-GCP) albeit with some modifications to suit the local conditions. GCP is an accepted requirement internationally before a drug or vaccine can be registered and licensed. All parties involved in the conduct of clinical trials should therefore share the responsibility of adhering to the Guidelines and to ensure acceptability of our data and findings worldwide. I am confident that the publication of this Guideline will mark another milestone in our efforts to strengthen our support to the local pharmaceutical industry in its efforts to promote meaningful clinical research in this country amidst the many challenges faced by them in a highly competitive market. The Guideline will also pave the way for our clinicians to achieve excellence in clinical research in this country. I would like to thank the ocmmittee involved in the preparation of the Malaysian Guidelines for GCP for working tirelessly in ensuring the publication of this important document. Copyright © 2005 - 2019 National Committee for Clinical Research (NCCR). All Rights Reserved.